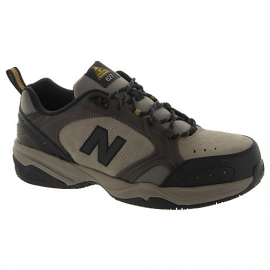 Designed for men who work on their feet, this Steel Toe 627v2 work shoe is our popular steel-toed industrial sneaker updated with even more safety features. The same slip-resistant outsole helps give you confidence on a range of surfaces, while a wider toe cap and a rubber toe tip enhance the shoe’s fit and durability. 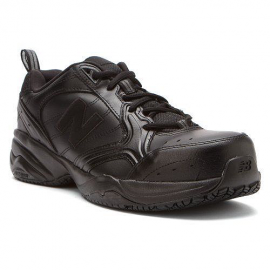 Not just for foot protection, the 627 also brings you the streamlined style of an athletic shoe and the all-day comfort New Balance is known for.